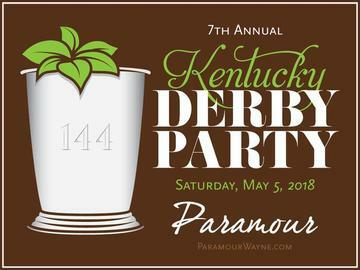 Celebrate Paramour's 7th Annual Kentucky Derby Party and kick off the spring and summer al fresco dining season on the Veranda! Sample an array of savory Southern inspired hors d’oeuvres and tempting sweet treats along with refreshing mint juleps and specially reserved wine selections while you watch the race events live in the Lobby Lounge and out on the Veranda. Tickets are $50 per person with all proceeds supporting Surrey Services.